The Things Network Basel becomes Official! The Things Network Vienna becomes Official! The Things Network Coimbatore becomes Official! The Things Network Norfolk becomes official! The Things Network Oslo becomes Official! The Things Network Antwerp becomes official! The Things Network Thessaloniki becomes official! The Things Network Berlin becomes official! The Things Network Melbourne becomes official! The Things Network Biberach becomes official! The Things Network Gold Coast becomes official! The Things Network Zentralschweiz becomes official! The Things Network Madrid becomes official! The Things Network Tehran becomes Official! The Things Network Hamburg becomes official! The Things Network Brescia becomes official! The Things Network Ulm becomes official! The Things Network Dortmund becomes official! 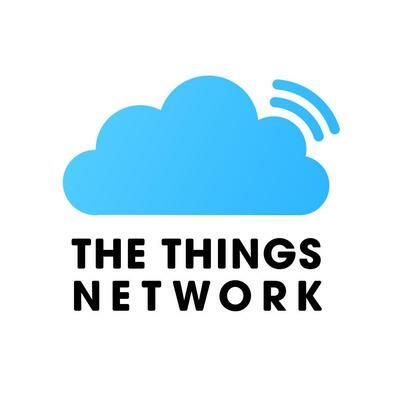 The Things Network Liverpool becomes official! The Things Network Leeds - Bradford becomes official! The Things Network Copenhagen becomes official! The Things Network Grenoble becomes official! The Things Network Rivierenland becomes official! The Things Network San Francisco becomes official! The Things Network San Diego becomes official! The Things Network Arnhem becomes official! The Things Network Ithaca becomes official! The Things Network Barcelona becomes official! The Things Network Den Haag becomes official! The Things Network West Brabant becomes official! The Things Network Zwolle becomes official! The Things Network Varna becomes official! The Things Network Utrecht becomes official! The Things Network Trondheim becomes official! The Things Network Sydney becomes official! The Things Network Rotterdam becomes official! The Things Network Plovdiv becomes official! The Things Network Paris becomes official! The Things Network Nijmegen becomes official! The Things Network New York becomes official! The Things Network Montreal becomes official! The Things Network Groningen becomes official! The Things Network Flevoland becomes official! The Things Network Enschede becomes official! The Things Network Eindhoven becomes official! The Things Network Den Bosch becomes official! The Things Network Buenos Aires becomes official! The Things Network Bonn becomes official! The Things Network Bern becomes official! The Things Network Bengaluru becomes official! The Things Network Athens becomes official! The Things Network Apeldoorn becomes official! LoRaWAN Flevoland Community is live!